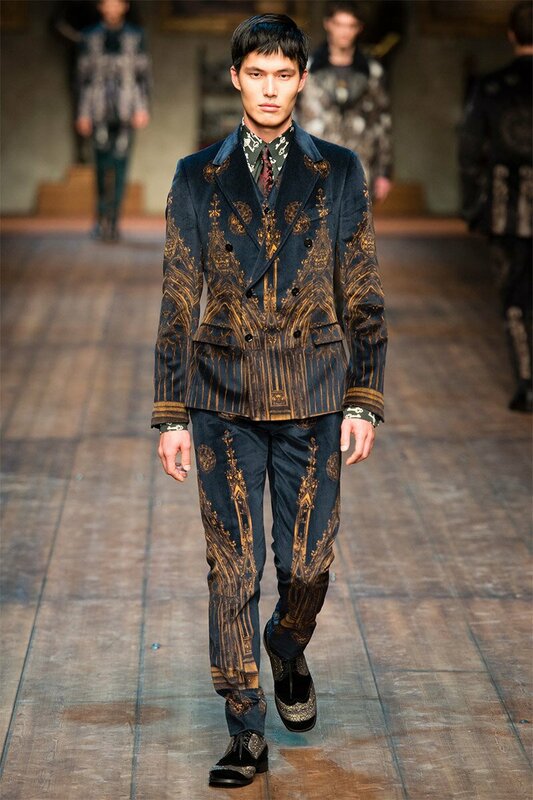 I made a post on my favourites from ‘Men’s Fashion Weeks’ a few weeks ago (which you can see here), but my absolute favourite show was the Dolce & Gabbana-show in Italy so I figured it needed it’s very own post. 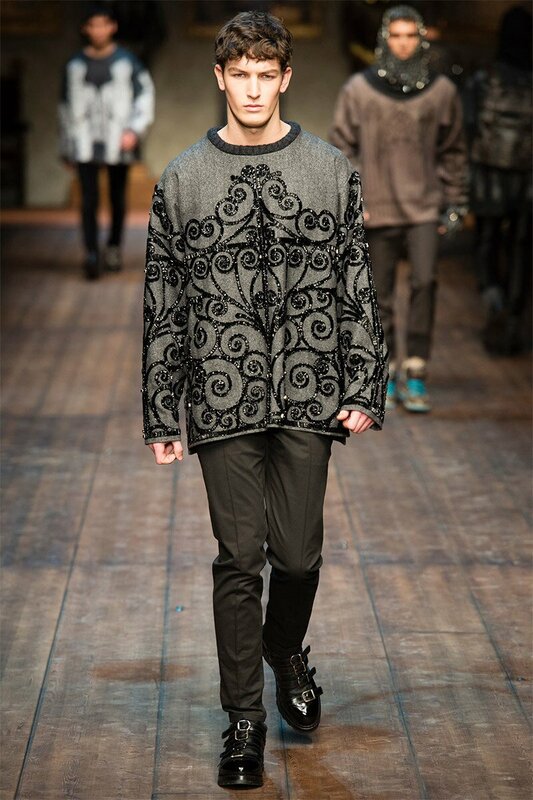 The dream team showed their Fall/Winter 2014 collection in Milan last month. The big inspirations for this collection were The Norman Kings Ruggero I, Ruggero II, William I, William II, Tancredi, Henry VI, Federico II and Manfredi. 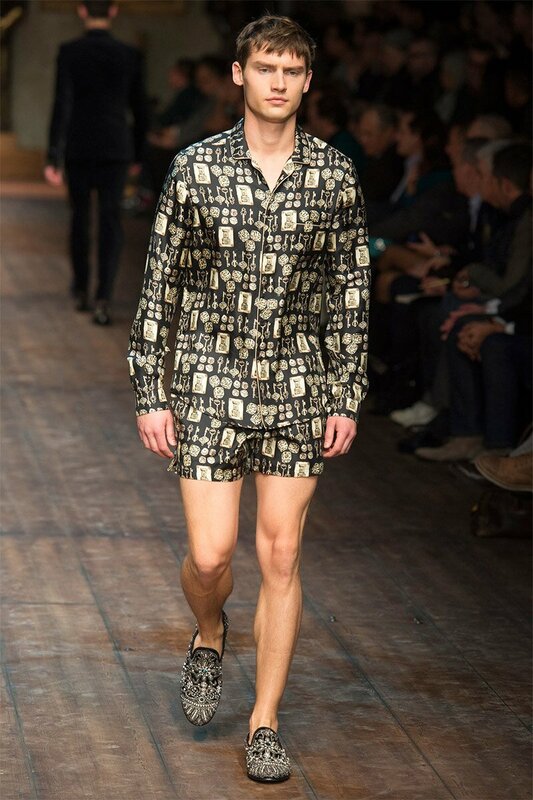 Dolce & Gabbana also took big inspiration from architecture by Norman Sicily which can be found in Palermo in the Norman Building and the Cathedral and the Church of the Martorana. Fit for a King. 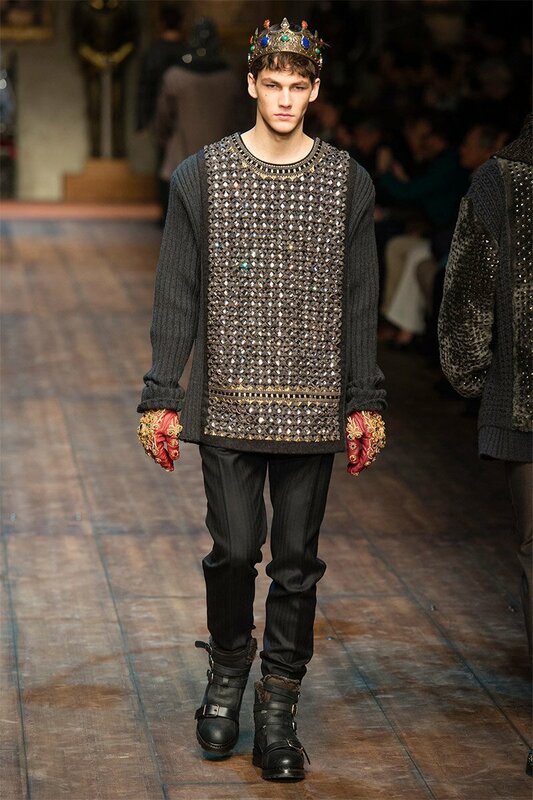 I love the details of the print and the flashy diamond gloves. 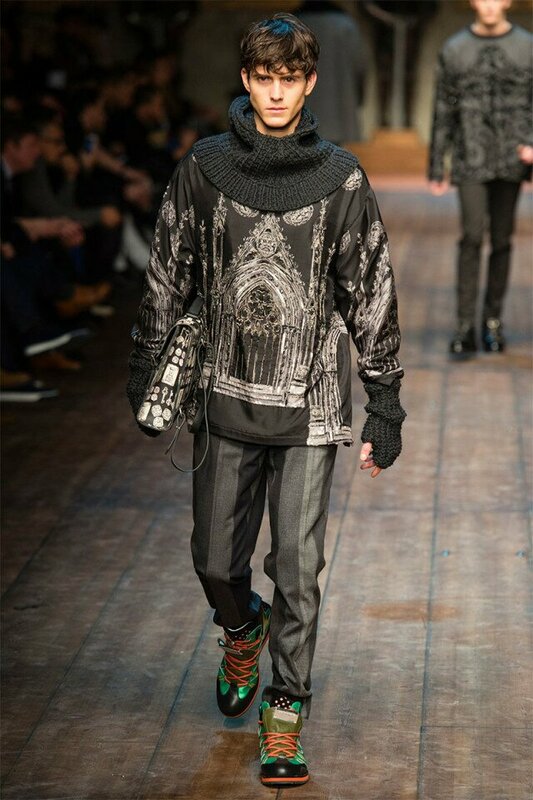 Wearing architecture. The perfect statement suit. Portrait of the past, walking with diamonds. In these Netflix-times, I love how much of the collection reminds me of ‘Game of Thrones’. I adore the contrast of the shoes and the rest of the outfit. 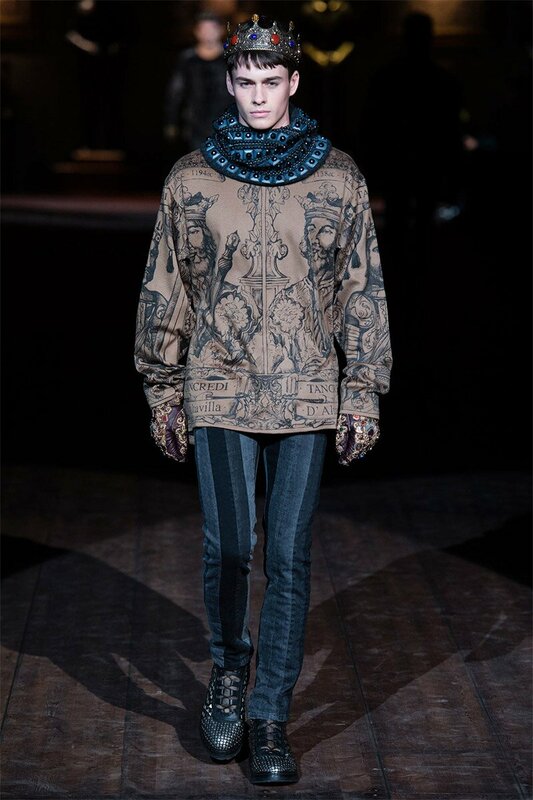 Dolce and Gabanna does it again for me, and I am always very excited to see their shows. 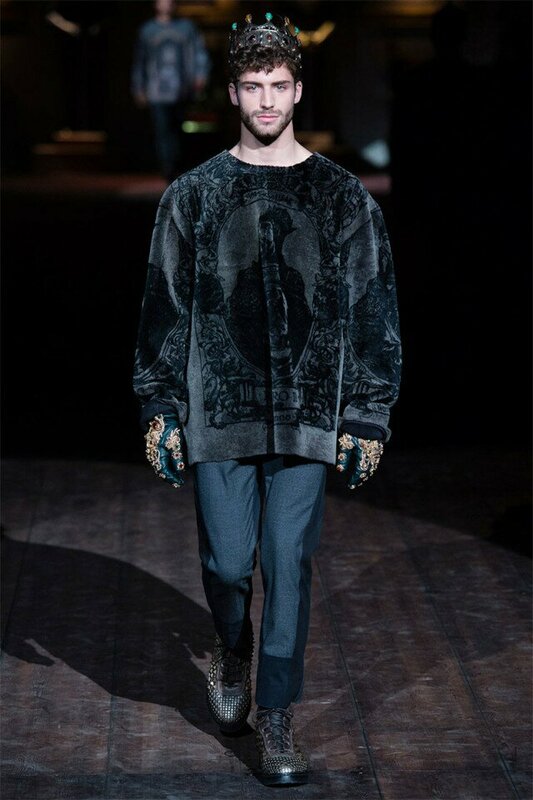 While many designers shows off subtle inspirations, Domenico and Stefano always takes it to another level, which we very much need, especially in men’s fashion, to rebel against the classic looks we see season after season. 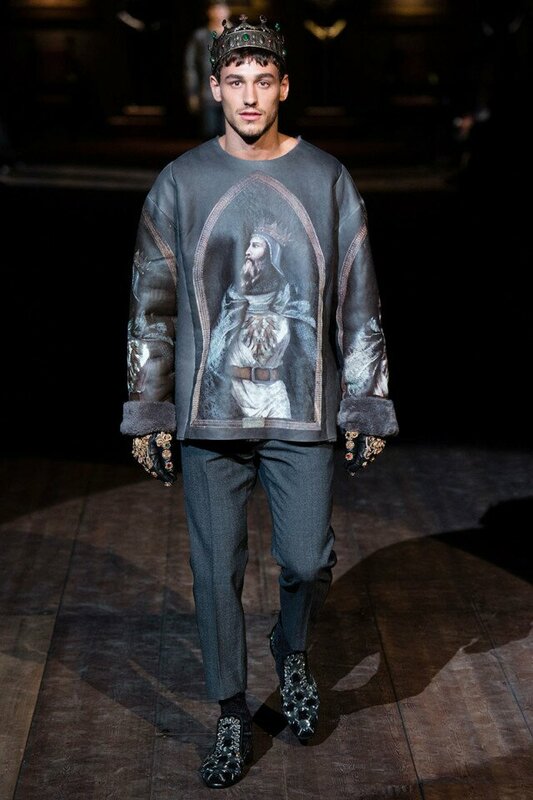 These are incredible… D&G really is amazing in terms of design.